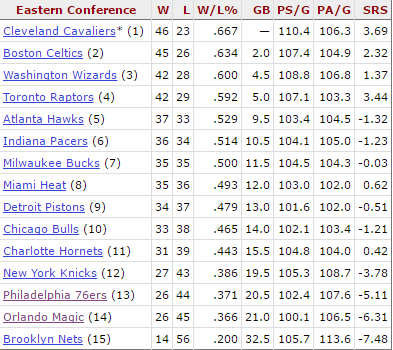 Looking at the Eastern Conference standings, there is few legit NBA Finals contenders. But there is some teams that could challenge the repeat Eastern Conference champion Cleveland Cavaliers. LeBron James has been dominating the East for as long as most can remember. With the shift in power slowly rolling to the East in the NBA, I will look to list the Contenders, Middle of the Pack, and Pretenders. Bare in mind that only teams with at least a 40% win percentage will be featured. There’s no question about it that the Cleveland Cavaliers are the only real contender make the NBA Finals. But these teams are true contenders to challenge Cleveland and make it tough. 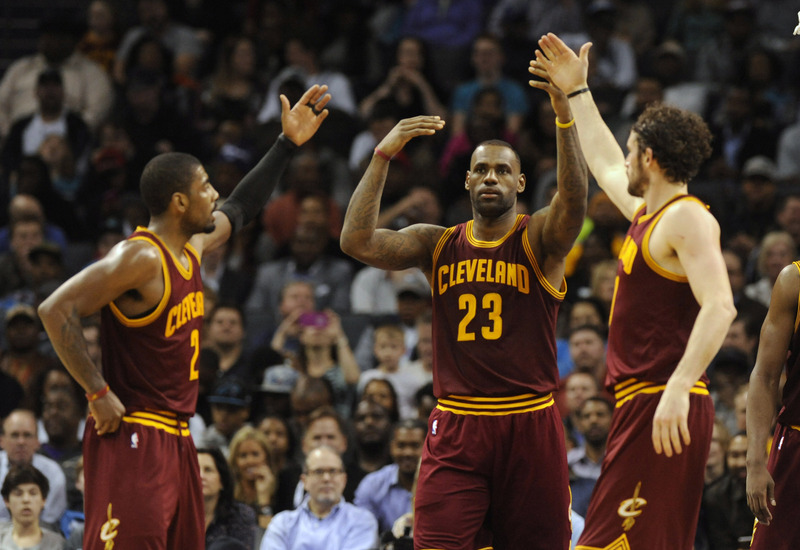 LeBron James could possibly even make the NBA Finals without Kyrie Irving and Kevin Love. Meanwhile the Boston Celtics have the best chance to defeat the reigning champs. Isaiah Thomas has been stellar this year and acquiring Al Horford in the offseason puts them in high contention. 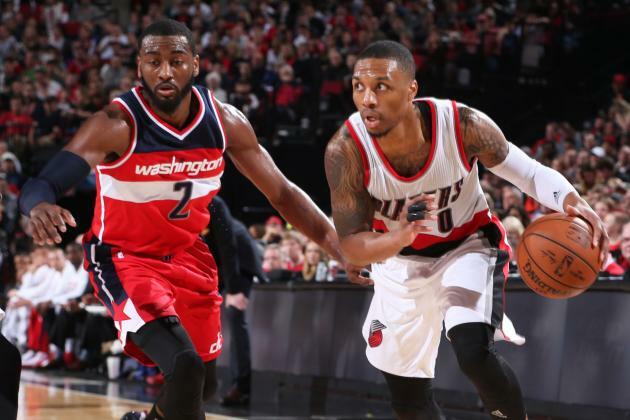 The Washington Wizards have been overwhelmingly great this season to some surprise. John Wall and Bradley Beal have been at the top at their game with the help of new coach Scott Brooks. 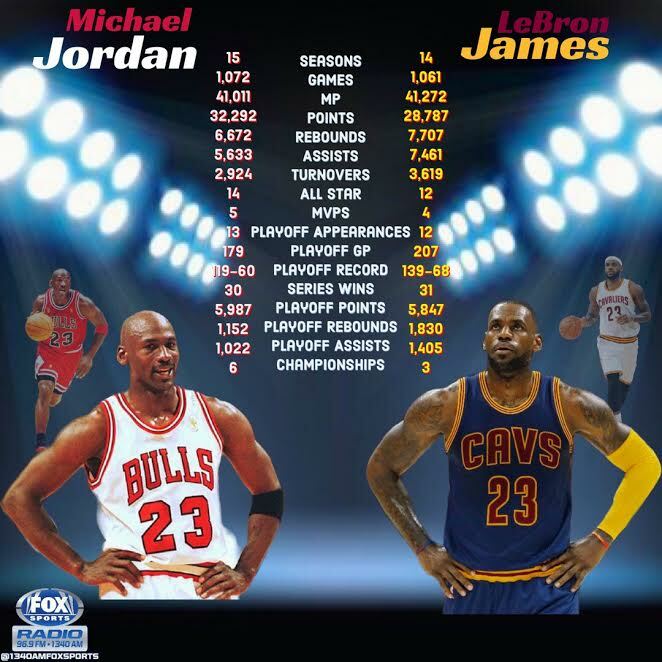 If their one-two punch continues to perform, they could put real pressure on Boston and Cleveland. Lastly, the Raptors aren’t where they want to be but are still a legit team. Adding Serge Ibaka at the trade deadline will help ease the load on DeMar DeRozan‘s shoulders. An injury to Kyle Lowry could hinder their record but he should be back within a couple weeks and make the Raptors real contenders. 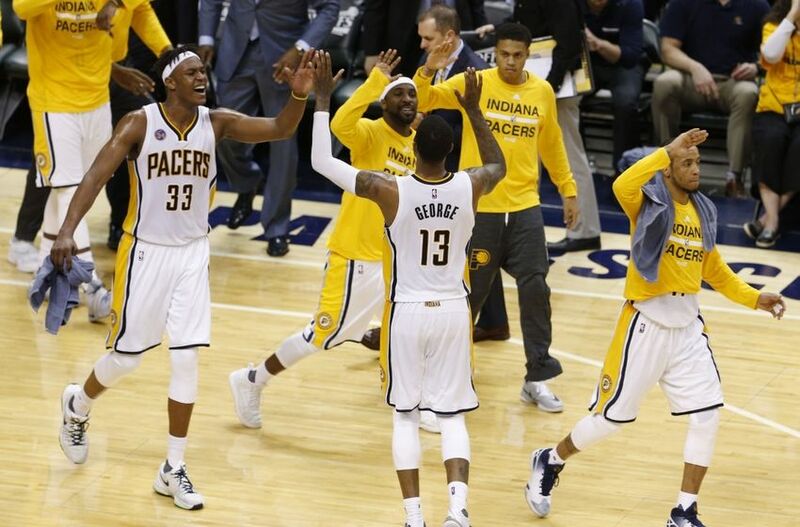 The Indiana Pacers are a team on the brink of contention but are missing a key piece. Somewhere on their team is a missing link whether that be another star on a mix-up on the roster. If the “Big 3” of Paul George, Jeff Teague, and Myles Turner can develop consistency in their play, watch out for this team in the playoffs. On the other hand, the Atlanta Hawks are a team of uncertainty still. They traded away Kyle Korver but are still in a decent place in the standings. Where they lack is legit All-Star quality players to pair with Paul Millsap. In order for them to become a contender, this offseason they will have to make a splash move or begin the rebuild. Head coach Jason Kidd is leading the Milwaukee Bucks in the right direction but injuries are killing this team. They have a good mix of youth and talent but now Jabari Parker is out for the season so their contender hopes are finished. Khris Middleton was also hurt for most of the season but is back now even though it’s too late. If Parker can stay healthy and they add a starting big man, this team will contend next season. And last but not least the Miami Heat have been one of those shock East teams making progress. After losing Dwyane Wade to the Bulls, you would think they would fall off but Dion Waiters has stepped up big. With Hassan Whiteside playing well, if they resign Dion Waiters and add one more piece they have what it takes to compete with the best. If you watch the Detroit Pistons, you can’t help but wonder whats wrong with this team. Looking at their roster, they have pieces at each positions that are compliment each other. But unlike most of these teams, their roster is complete but they have chemistry issues. Reggie Jackson and Andre Drummond need to play at All-Stat levels next season in order for them to make real impact. Now the Chicago Bulls have been the most intriguing team in the East. Signing Dwyane Wade in the offseason meant they were looking to make a run at the NBA Finals. Pairing Wade with Rajon Rondo and Jimmy Butler made some people question the GM due to their similar playing styles. In order for the Bulls to return to glory, they need to add shooters to create more space on the floor. And lastly the Charlotte Hornets have been the most disappointing team in the East. Kemba Walker has been playing well but other than him, no one has stepped up. The Hornets need to add a big man that can score easy points in the paint to pair with Frank Kaminsky. Very few pundits are willing to go out on a limb and say a team other than the Cleveland Cavaliers will win the East. And I won’t either due to one player- LeBron James. 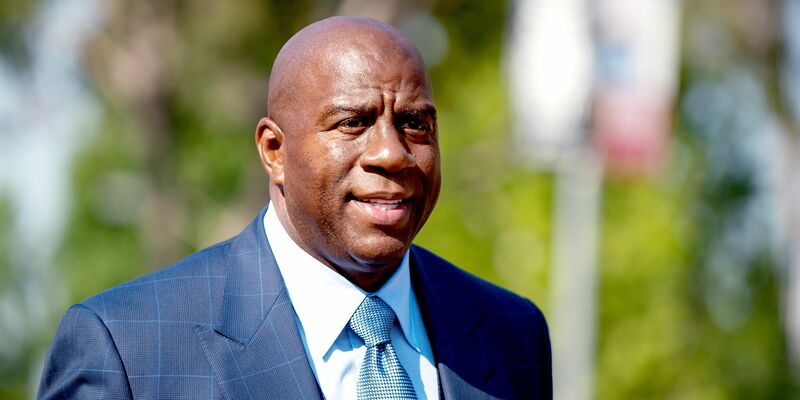 It’s difficult to bet against a player who has been to the NBA Finals six straight years and counting. Sure Boston and Washington have tough quality teams but in order to beat Cleveland you need what they don’t have. A superstar or top-5 player that can takeover a game when LeBron starts to. All the contender listed teams have the role players and bench depth but are missing THAT guy. Until we see it happen, it looks like the Eastern Conference will belong to LeBron and the Cavaliers once again.